Will McKinley continue his century-long tenure at the plaza's center? Incumbents Sofia Pereira and Brett Watson maintain their leads to continue serving on the Arcata City Council over challenger Valerie Rose-Campbell, taking 43.58 percent and 36.14 percent of the vote, respectively, in the three-person race. 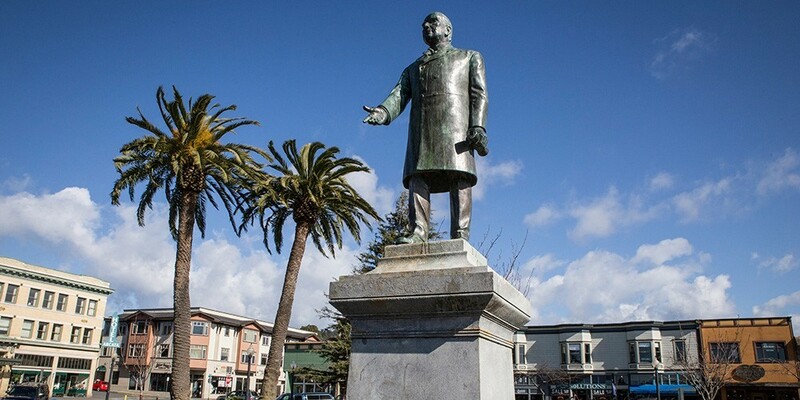 Meanwhile, the ballot bid to keep the statue of President William McKinley on the plaza continues its downward slide with Measure M’s support slipping again in the election night final report to 37.84 percent of votes counted. With the third election report, incumbents Sofia Pereira and Brett Watson are well on their way to retaining seats on the Arcata City Council over challenger Valerie Rose-Campbell with 43.52 percent and 36.81 percent of the vote in the three-person race. The question of whether the statue of President William McKinley will stay on the plaza also appears to be clear. 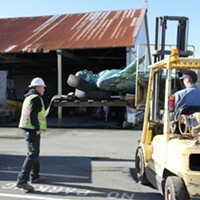 Measure M’s support tumbled in the latest round of results — with 40.62 percent of votes in favor of prohibiting the "modification, destruction, relocation” of McKinley’s statue or its base from the bronze’s current location. The numbers in Arcata remained the same in the second election results report, with incumbents Sofia Pereira and Brett Watson ahead at 42.5 percent and 39.3 percent in their bid for two open seats on the Arcata City Council and challenger Valerie Rose-Campbell trailing at 15.7 percent. Measure M, which will determine whether the statue of President William McKinley remains on the plaza, was also unchanged, with ballots cast in favor of the bronze staying at 49.04 percent. Familiar faces appear poised to return to the Arcata City Council dais with incumbents Sofia Pereira and Brett Watson receiving 42.5 and 39.3 percent of early returns, respectively, to Valerie Rose-Campbell’s 15.7 in the three-person race for two open seats. Pereira, who currently serves in the rotating role of mayor, was first elected to the council in 2014 while Watson was appointed in April of 2017 to fill the remainder of former Councilmember Mark Wheetley’s term after he stepped down to become Fortuna's city manager. Meanwhile, things were much tighter in the most contentious election issue facing the city this year: Measure M, which will determine whether the more than 100-year reign of President William McKinley’s statue will continue on the plaza, with early results just 26 votes apart at 49.04 in favor and 50.96 against. 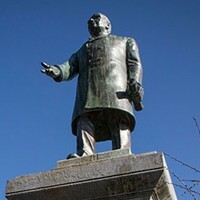 As an aside, it was 118 years ago today that McKinley was reelected president, serving just under a year more before he was assassinated in 1901, an act that shocked the nation and prompted Arcata farmer George Zehndner to commemorate him by commissioning the statue, the first major work by renowned Armenian sculptor Haig Patigian. 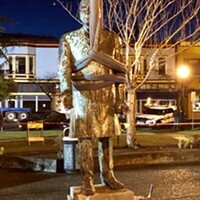 Brought forward via the citizen initiative process in response to the Arcata City Council's controversial February decision to remove the bronze, the measure — if passed — would prohibit the "modification, destruction, relocation” of McKinley’s statue or its base from the plaza center. Read previous Journal coverage on Measure M here.